A few quick keystrokes is all Launchy needs to fire up your programs. Launchy (free/donationware) makes it easy to quickly launch programs. Hit Alt-Space to bring up its tidy little program window, and type in the name of a program in your Windows Start menu. Launchy closes, and brings up the requested program. Launchy is a free cross-platform utility designed to help you forget about your start menu, the icons on your desktop, and even your file manager.Launchy indexes the programs in your start menu and can launch your documents, project files, folders, and bookmarks with just a few keystrokes! 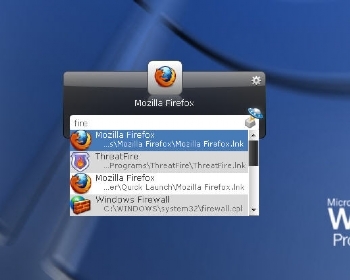 Some included plugins extend the utility’s out-of-the-box capabilities, such as one that can handle basic calculator tasks, and another that allows for opening your Internet Explorer and Firefox bookmarks as you would a program. Reading Firefox bookmarks requires taking a quick step to enable bookmark exports (the steps are described in Launchy’s help document, which is accessible online or from Launchy’s start menu folder). Launchy is definitely a personal favorite of mine. I just love the fact that I can be on a site and have my fingers on the home roy and not have to really moe them to open up an application. It is nice. It just makes things much more fluid. Recently I have been trying out executor, though it uses more resources than launchy it is I like the additional options that it has.